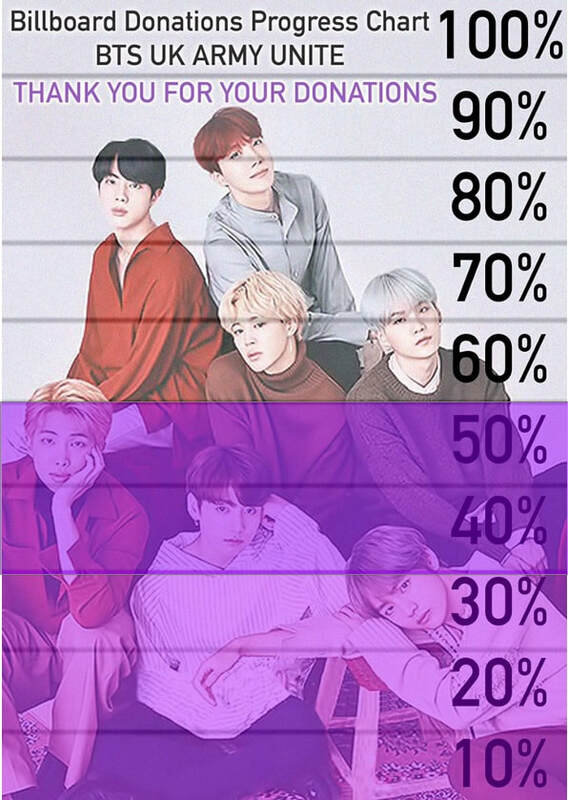 Thank you ARMY! 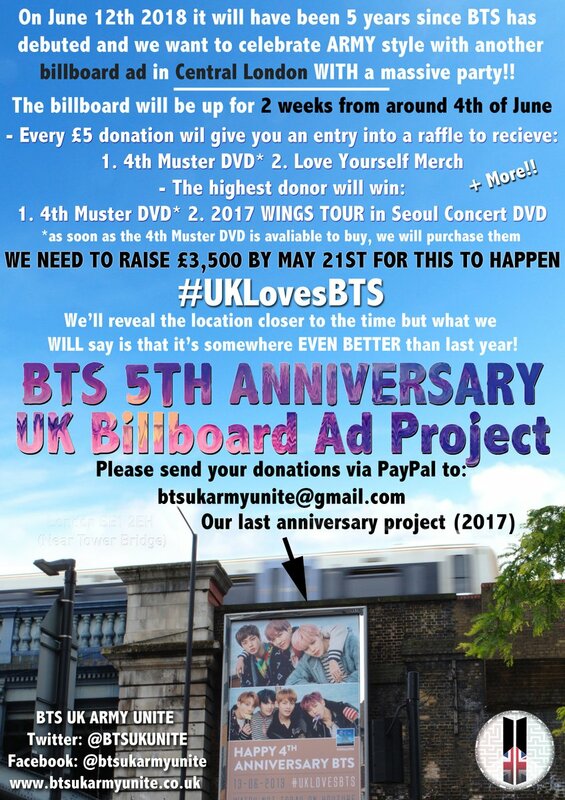 Lets keep it up, please keep sharing our project on twitter, facebook, instagram etc (don't forget to tag BTS UK ARMY UNITE and BANGTAN UK). BTS 5th birthday billboard advert and party! We're doing it again and this time we've teamed up with BANGTAN UK! Last year was a massive success with over 1500 ARMYs attending. The Sun God Hobi blessed us with sunshine and blue skies, there was a delicious cake and lots of fun. This year we have teamed up with Bangtan UK to bring you a bigger and better 5th Birthday party for ARMY and BTS! Massive thank you to Wale for retweeting our campaign! 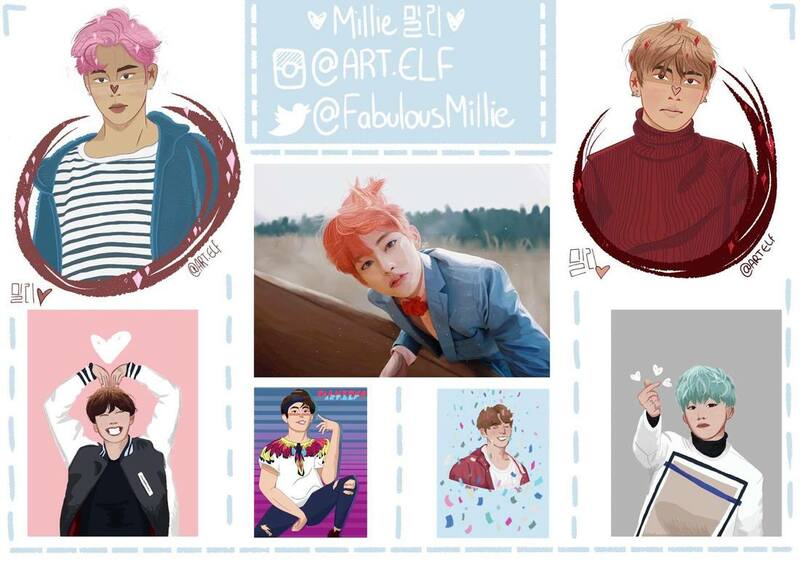 Drawing of you and your bias printed A5 glossy. The drawing made into a gif.